All female Players Club Members receive $10 Free play after earning 5 points on their Players Club Card from 8 am until midnight Plus – Hot Seat Drawings for $20 Bonus play start at 7 pm and last until 10 pm – announcing winners every hour. TUESDAY is all about the MEN! All male Players Club members receive $10 Free play after earning 5 points on their Players Club Card from 8 am until midnight Plus – Hot Seat Drawings for $20 Bonus play start at 7 pm and last until 10 pm – announcing winners every hour. Join us for our hourly slot tournaments! Earn double points on carded play all day! Earn 5 points and receive $10 in bonus play. Sign-up for our slot tournaments. Sign ups begin at Noon! 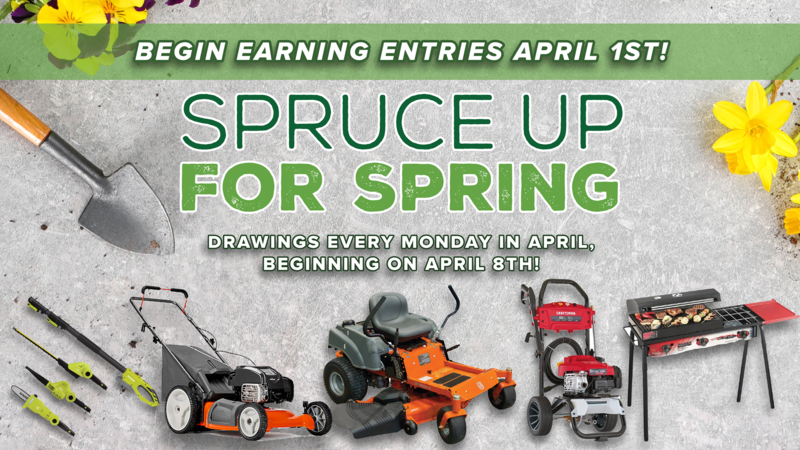 Tournaments throughout the day beginning at 1 PM until 8 PM Earn 5 points to be eligible to play! THURSDAY we pamper our Seniors! Earn 2 points on your Players Club Card to receive all the senior benefits! Players Club Members 55 and over will receive receive 1/2 off one meal item at the Grill, $5 in Free play and qualify to play in our Senior Slot tournament. We will also have hourly hot eat drawings to play PLINKO! See the Players club for details! Come on down! You’re our next contestant to play PLINKO! Earn 5 points on your Players Club card and be eligible to play PLINKO. Be playing with your Players Club card and you will be eligible for our hot seat drawings to play PLINKO for up to $100 in free play. The Grill also offers our famous fish special either grilled or fried! It’s delicious! SATURDAY we honor our First Responders! 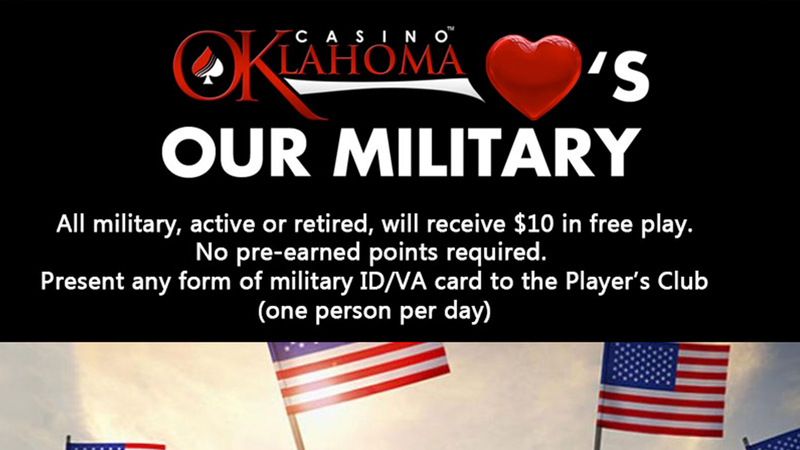 For all First Responders – Fire, Police, EMS & Military – No points required, present ID and proof as first responder to the Players Club and receive $10 in free play. Time to play some BINGO! BINGO every Saturday night! Starts at 6:00 PM until 10:00 PM. Just earn 5 points on your Players Club card and receive a free Bingo card! 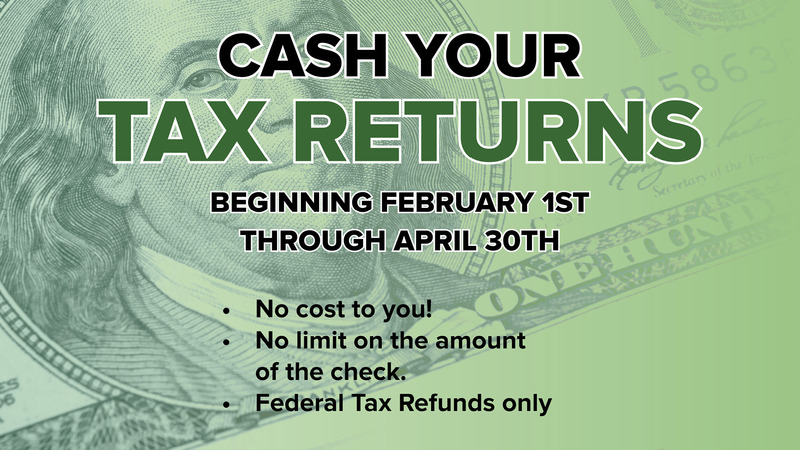 We play 9 different games and you could win up to $400.00 in CASH! See Players Club for details! The Grill is serving up our Saturday’s steak special! The special includes a 12 ounce premium angus ribeye cooked to perfection over an open flame, a loaded baked potato, salad and a dinner roll for the low price of $13.99! 5 points gets you $10 in bonus play! Sunday Funday! 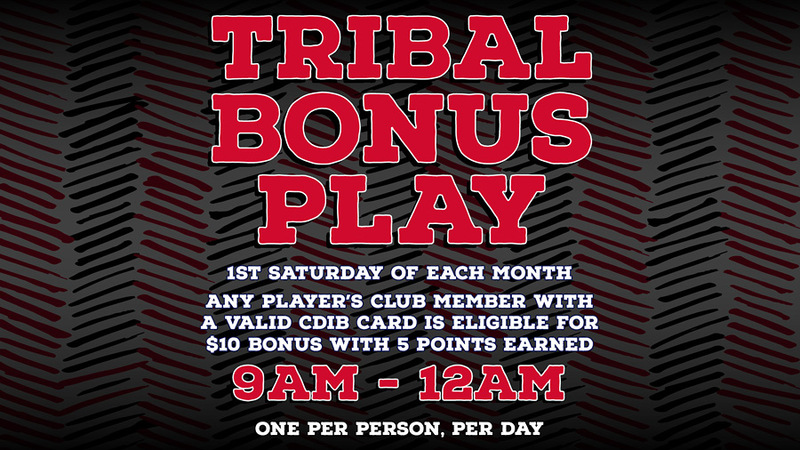 Earn 5 points on your Players Club card and receive $10 in bonus play. Also, enjoy our Sunday specials in the Red Dirt Roadhouse! Enjoy our Sunday specials in the Red Dirt Roadhouse. Like us on Facebook to see our daily specials.